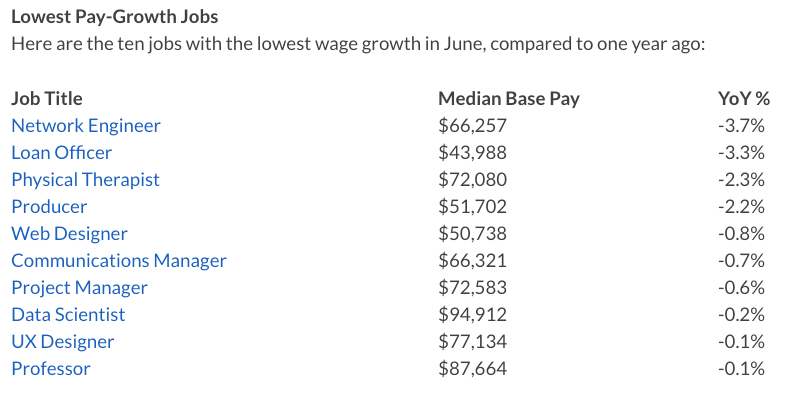 The job-tracking site, Glassdoor, sees the same trend in June wage and salary reports. Wages for bank tellers rose by 8.1 percent over the prior 12 months, truck drivers gained 7.3 percent, warehouse workers gained 6.8 percent while cashiers were up 4.9 percent and security guards gained 4.7 percent. But white-collar salaries for network engineers were down 3.7 percent compared to June 2017, said Glassdoor. Physical therapists were down 2.3 percent; web designers lost 0.8 percent, data scientists lost 0.2 percent and professors were down 0.1 percent. 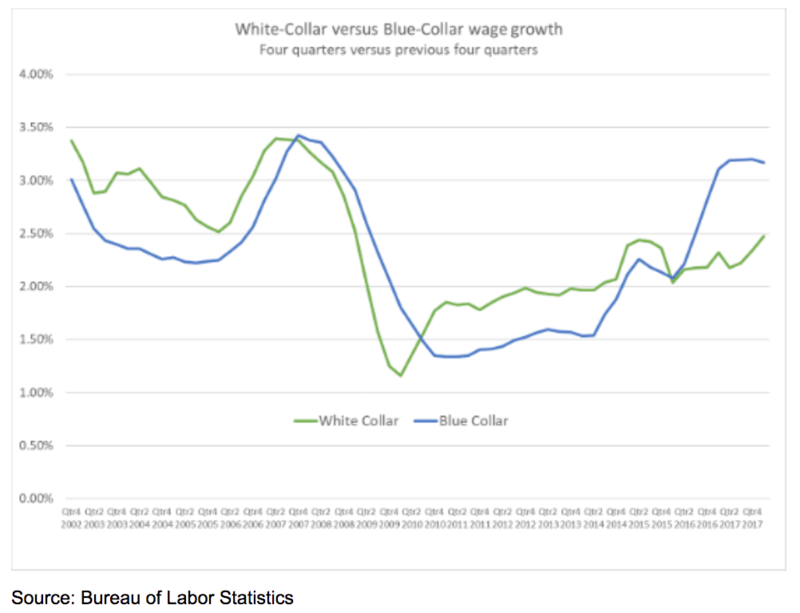 White-collar salaries are stalling partly because roughly 1.5 million non-immigrant, lower-wage visa-workers have been quietly imported to take many white-collar jobs, sometimes directly from American employees. 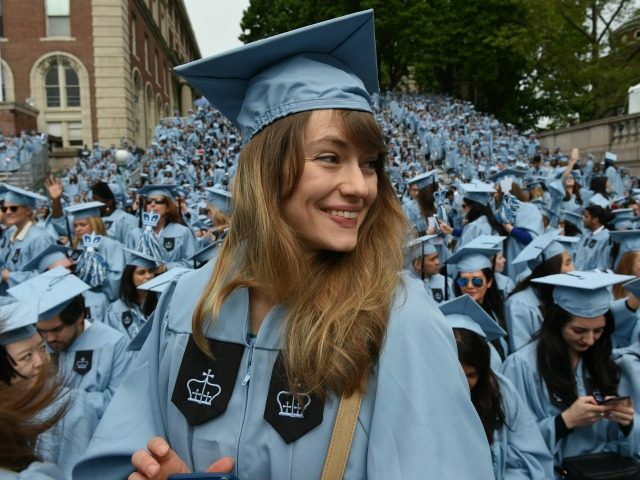 The foreign college-graduates are allowed by the federal government to work in the United States via several temporary programs, including the H-1B visa-worker program. Media descriptions of the controversial H-1B program say it brings in 85,000 foreign graduates per year. But the program actually keeps at least 460,000 foreign workers in the United States. Other estimates put the resident H-1B population at 650,000 or even up to almost 1 million. The chart shows that roughly 149,000 foreign graduates got 12-month OPT work-permits in 2o17 and that an additional roughly 94,000 students had two-year “STEM OPT” work-permits for technology jobs in 2017. Neither the L-1 nor the OPT have any wage floor, a cap, recruitment requirements, or non-displacement. 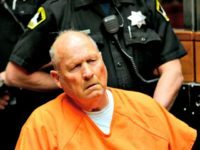 Further, both programs are subject to virtually no federal scrutiny or oversight. We have no idea how many L-1 visa holders are here at any one time, and unlike the H-1B, we don’t even know how many are approved for each company because of blanket petitions (for which no publicly available government data exist). A review of L-1 visa issuance, I-129, and admissions data suggest the stock of L-1 workers is likely to be in the neighborhood of 300,000. 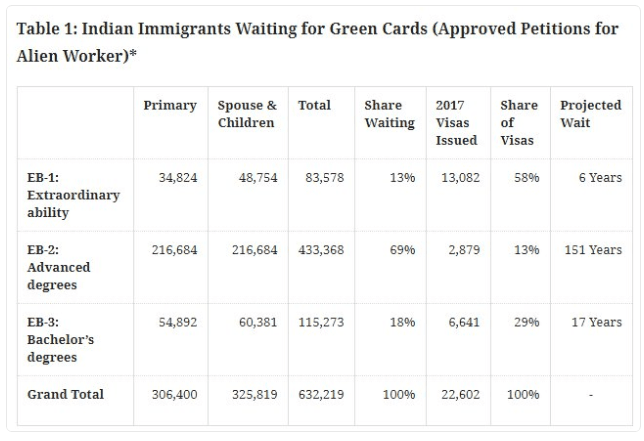 In addition, employment authorization document data from DHS suggest there are likely to be about 200,000 L-2 spouses working in the labor market, who accompany the principal L-1 beneficiaries. With no wage floor, the L-1 visa program offers wage arbitrage opportunities even greater than with the H-1B. Workers can be paid home country wages. The wage differentials between America and India, the source country for the largest share of L-1s, are staggering. In the case of an information technology worker from India, this could mean a salary of just $8,000 per year. The resident foreign population is augmented by E-1, TN, and J-1 visa workers. Relatively few illegal immigrants, very few asylum seekers, and a low percentage of DACA recipients work in white-collar jobs. This army of at least 1.1 million white-collar visa-workers is reinforced by at least 300,000 Indian white-collar graduates who can work in U.S. jobs while they wait in line for green cards. Most of those “EAD workers” arrived as temporary H-1B and L-1 workers, but are allowed to continue working with renewable Employment Authorization Documents while they wait for a green card to become an immigrant. Roughly 100,000 spouses of EAD workers also have been given work permits. The green card line also includes roughly 65,000 Chinese white-collar EAD workers, most of whom work in upper-tier information technology companies and in university science laboratories. When those Indian and Chinese EAD workers reach the head of the green-card line, they join the 70,000 white-collar immigrant workers who are annually sponsored by U.S. employers. Since 2000, that green-card inflow has added roughly 1.25 million additional white-collar graduates to the U.S. labor force. So the federal government has boosted the supply of white-collar labor in the United States with at least 1.1 million visa workers, 400,000 EAD workers, and 1.25 million white-collar immigrants. That’s roughly equivalent to three years’ output of skilled college-graduates from U.S. universities. A better approach would be to actually emulate the Canadian system that Trump claims to favor: Consider family ties as one relevant factor alongside education and language skills, and allow for a large number of visas. Fundamentally, an affirmative progressive immigration agenda ought to view the desire of millions of foreigners to live and work in the United States as a source of national strength … That’s an opportunity for the United States to maintain its stature as the world’s largest economy and only superpower. Yglesias waives away the salary impact of the roughly 1.1 million visa-workers and roughly 400,000 EAD workers, even though their number is almost twice as large as the 800,000 Americans who graduate each year with degrees in medicine, business, engineering, science, software, math, and architecture. The salary-reduction process is already working in the information-technology sector where the labor market is flooded by Indian H-1B and L-1 guest-workers. But the impact cuts across all white-collar sectors — 100,000 H-1Bs hold prestigious academic jobs, and more hold jobs in fashion, accounting, design, or engineering — and the many displaced American graduates migrate into lower-paid jobs in different white-collar sectors, including journalism. Click here to find healthcare, academic, and business examples in cities around the United States. Trump’s deputies at U.S. Citizenship and Immigration Services agency are working to curb those H-1B numbers and to raise white-collar wages. But business groups are fighting tooth-and-nail to maintain the supply of cheap foreign graduates, partly because the foreigners work long hours, at low wages, and often in hostile conditions. The visa-workers and EAD workers endure the bad treatment and lower wages because they and their families want to stay in the United States. In effect, the government-provided green cards are a deferred bonus given to foreign workers in exchange for working longer hours at lower wages for many years. That reality means the federal government is subsidizing business who hire salary-cutting foreigners instead of white-collar Americans, many of whom need to pay off extensive college debts. The basic political problem with Yglesias’ call for more middle-class migration is that it does not favor Americans over foreigners, or over companies, or Indians, or even the federal government. In Yglesias’ plan, all the economic benefits go to the federal government’s tax collectors, U.S. investors and foreign professionals. A trickle of benefits will go to “Americans [who] sell them things,” he says, presumably including hotdogs and cokes at lunchtime. Many business lobbyists want the same expansions as does Yglesias. 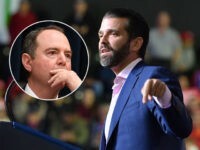 For example, an unlimited white-collar immigration plan dubbed “green-card stapling,” was included in the Senate’s 2013 amnesty plan, which was blocked by populist voters. This year, a coalition of business groups pushed the same unlimited white-collar migration plan, dubbed “I-Squared,” and like Yglesias, they portray the proposed flood of white-collar immigrants as a boon to the U.S. economy. Every CEO in every company sees the business opportunity: Will I earn higher profits by replacing my American staff with cheaper H-1B workers? The answer is an obvious yes. Professional jobs have been an important rung on the ladder to the middle class. Computer Occupations in particular have been a traditional path from working class to the middle class. Exploitation of the H-1B and other guestworker programs is shutting that pathway down and as we see in the case of Southern California Edison, many are being forcibly sent down from the middle class. This is especially troubling since the technology industry has a terrible track record on diversity. There are very low rates of hiring of African-Americans and Hispanics as well as women. And age discrimination is an open secret in the technology industry. The SCE workers are typically in their 40s and 50s and are men and women of all races. While the H-1Bs being imported for IT occupations are almost all Indian men in their 20s and 30s. Polling evidence suggests the public would strongly endorse reductions in the visa-worker programs. For example, an August 2017 poll of 1,201 adults byAmerica First Policies showed that 68 percent support “increasing the amount companies must pay H-1B workers to encourage them to employ more American workers.” Only 21 percent disagreed. More importantly, 36 percent of the adults strongly agreed while only 8 percent strongly disagreed, creating a 4.5-1 advantage for politicians who push for the reduced use of H-1Bs. Among independents, 32 percent strongly support the proposal, while only 7 percent strongly oppose it.